Posted January 19, 2008 by Road Junky. Kauffman is a real Road Junky and he gets gonzo and academic at the same time when writing about his time in India. One of the very occasional perks of editing Road Junky is the odd parcel that arrives with someone’s book in it for us to review. 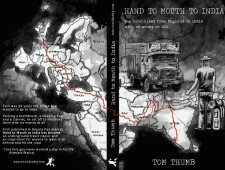 A Road Junky book review is hardly the big time but some authors reckon it’s worth the price of the postage and a spare copy of their masterpiece. David S. Kauffman sent us two books he’d written and self-published – no harm in that as most material worth reading wouldn’t make it through the publishing industry today – and for a while, we were quite excited. The first, Never Any Time for Sleep, is the story of an international romance and the sheer unbearable lightness of traveling. 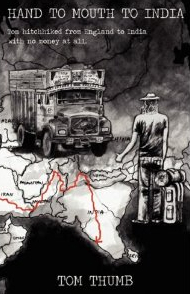 Kauffman takes us through the confusion, the exhaustion and the improvised joy of travel. Meeting Bela in the Bombay International Airport they at once found an unshakeable connection and fly off to Sri lanka together. The romance is raw, touching and is a compelling portrait of two souls lost somewhere in Asia, desperately trying to find a way to one another. Their adventures as told through hallucinogenic scene changes, cutting back and forth through time, are the stuff that Road Junky Dreams are made of. The trouble is, it’s not really a book. Conrad managed to pull of Heart of Darkness in 38,000 words but just about everyone else tries for somewhere above 60,000 and Never Any Time for Sleep is read in around an hour. It feels more like a bunch of inspired notes than a travelogue and doesn’t really hold together. The beginning is rapid, the middle sketchy and the end comes as though the college professor’s deadline was in the morning and it had to be wrapped up somehow. 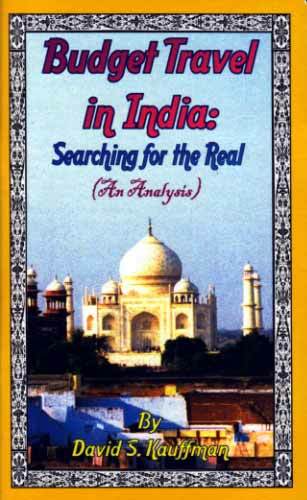 The second booklet from Kauffman is Searching for the Real, an essay about budget travel in India. It’s a very intelligent, well thought out attack on the inanities of backpacker pretensions and beliefs, examining the whole concept of backpacking in a social and cultural setting. No one on the Road Junky team is capable of explaining in such depth the shortcomings of the modern pilgrimage of setting off with a rucksack and a guidebook. None of us would really want to, however. Searching for the Real reads like an academic essay and as usual with academia, the eye blurs as you wonder just what the author really wanted to say. Yes, backpackers do and say a lot of dumb things. Yes, we probably wouldn’t be looking for self-enlightenment in India if it didn’t happen to be so cheap. The underlying feeling that you get is that Kauffman is disillusioned with the life of travel that he so loved and unsure about the overall worth of it all. Anyone who’s been on the road for a while can probably sympathise. But then Fate intervenes, you get off the road for a while, fall in love or convert to Jainism. Whatever. The main thing is not to lose your sense of humour. Kauffman is right in saying that budget travel has in many cases been reduced to a consumer experience. He’s probably right in most of the things he says. 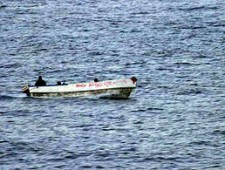 But we get the feeling that the Indians couldn’t care less. A few more white invaders – it’s been happening for thousands of years, they’ll all get absorbed in the end. In any case, it’s all just more maya, the dance of illusion and a chance for a good laugh in the meantime. Still, Kauffman has written about real travel and the hardships/ecstasies of being on the road and not many travel writers do that. Most of them wouldn’t dare put themselves on the edge for so long in the first place. Road Junky likes David Kauffman. We just get the feeling that he could do a lot better. You can buy Kauffman’s travel books here and here Or you can get a signed copy from David by dropping him a line at neveranysleep@airpost.net.